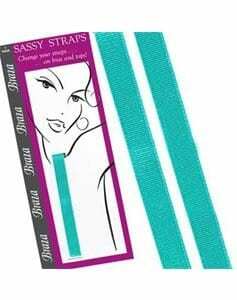 53096- These super funky animal print bra straps will renew your love for your strapless bra. Replace lost or tired bra straps with these for a new look instantly. From Braza these funky Animal print bra straps will jazz up any strapless bra. In a bold Cheetah print in black on brown. Or in a black and silver Zebra print. These straps are perfect for replacing lost or discoloured straps. Suitable for any strapless bra that features loops for adding straps.